In the DeWitt community, Krieger’s has been a longstanding community leader helping to raise tens of thousands of dollars for various projects in DeWitt. Currently, the dealership has raised nearly $20,000 for the Frances Banta Waggoner Community Library. We also do a yearly drawing on prom night, giving some lucky student their first vehicle. Other projects that we are proud to be part of are the yearly cake auction and the annual golf tournament sponsored by the Lions club. Krieger’s through the years has been a donor to many other silent auctions and private fundraisers. We do this because we love being part of DeWitt and know that a strong community supports its local businesses. 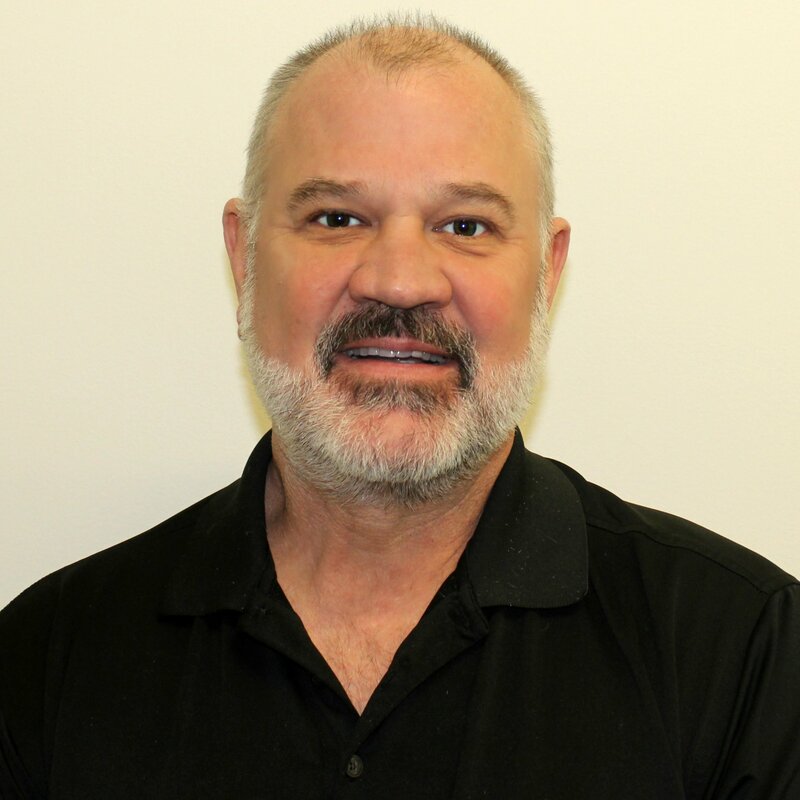 Krieger Auto started way back in the 1920’s when two young automobile mechanics worked together at the local Ford dealer in Muscatine, Horst and Strieter. Joseph Krieger and Charles Henderson were the mechanics. Charles opened his own garage in 1931, known as Henderson’s Garage in downtown Muscatine. Joe joined Charles in 1932 and they became equal partners in the garage. Soon after, Chevrolet stopped by the garage and asked them to take on Chevrolet, and as time went along during the 30’s, the two partners acquired numerous other franchises, including Pontiac, Oldsmobile, and Cadillac. The original dealership operated out of a 3 story building, with service on the first floor, the second story was the showroom, and a body shop utilized the third floor. In 1951, General Motors wanted to separate the Pontiac – Cadillac franchise from Chevrolet and Oldsmobile. Marvin Krieger then designed a new building at the corner of Sycamore and Mississippi Drive that would house Henderson’s Chevrolet – Oldsmobile. After a few tough years running the two garages together, they decided to go their separate ways. Henderson’s Chevy Olds continued to run out of the new building and Krieger’s Pontiac Cadillac out of the three-story garage. The beginnings of Krieger’s in 1956 were a tough going. A young Marvin Krieger struggled to operate the business. Marvin invested in hiring quality employees to help run the operation. Hiring great folks like Warren Tutt, Carson Schwandke, John Sprouse and Evie Lange, the business started to flourish. This started the principles of the “Krieger Way” of doing business. Hiring Quality employees and treating them as such, providing exceptional Customer Service, and staying true to our small town values will add up to a bright future for everyone. You will find a breath of fresh air blowing through every Krieger’s location. It is a new spirit of service that starts with a good neighbor approach and a renewed dedication to listening. Krieger Auto Group has been serving customers since 1956. Selling and servicing new and pre-owned Buick, Chevrolet, GMC, Ford, Lincoln, Chrysler, Jeep, Dodge, and Ram vehicles. Hiring quality employees and treating them as such, providing excellent customer service, and staying true to our small town values will add up to a bright future for everyone. We are excited to work with the DCDC in strengthening our ties to the community. This summer we plan to sponsor one of the outdoor movie nights and other events to give back to the community that has given so much to us. Whether you are looking for a new or a high quality used car, truck or SUV Cross-Over, quality mechanical service or repair, an experienced detail department to clean and freshen up your vehicle, you can depend on the decades of experience at Krieger’s of DeWitt. Krieger’s Auto Group, a proud partner in the Muscatine and DeWitt communities. “Shop us once you are Family for life”. 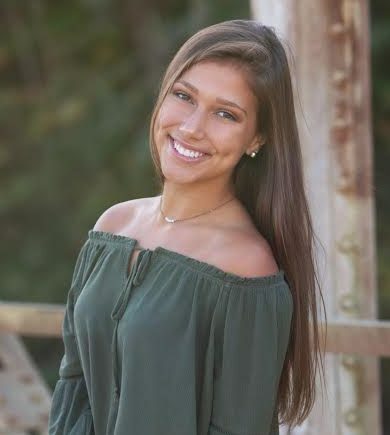 This entry was posted in Community Insights, DeWitt Delivers, Get Involved!, Look Local First, Shopping & Dining and tagged City of DeWitt, Community, DCDC, DeWitt, DeWitt Chamber & Development Company, DeWitt Delivers, Look Local First, shop local, shopping in DeWitt on March 22, 2019 by admin. What I’m about to tell you will all sound “too good to be true” and you’ll keep waiting for the “catch” when you learn that this Small Business Program will cost you $0. It is my belief that the intention is to simply help small businesses grow. We are fortunate to live in a town that fosters great connections to the people and businesses in it. We are able to share our successes and work together to find ways to help small businesses grow in DeWitt. 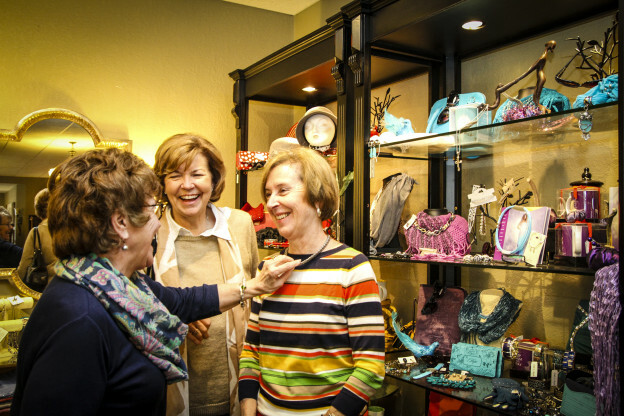 The DeWitt Chamber & Development Company is one of the organizations that supports and encourages those business and personal connections. That’s why I reached out to them to help me share this opportunity with our small business, with the hope that a few of our small businesses become even better, which would impact the overall vibrancy of our DeWitt economy. I am Mary Sandry, co-owner of Sandry Fire Supply in DeWitt. 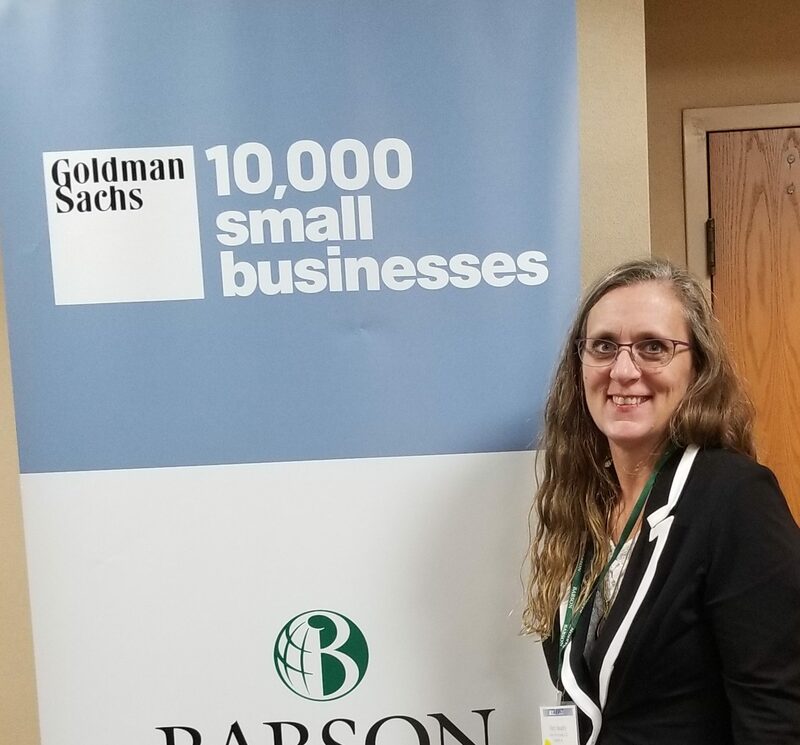 Last year I participated in a program called 10,000 Small Businesses (10KSB), a collaborative training program sponsored by Goldman Sachs. The goal is to put existing small businesses through a business education program which fosters business growth. I am excited to share that this program is now going to be available to up to 60 small businesses in Iowa through a “state-wide” collaboration between Iowa Community Colleges. It will cost nothing for these businesses to participate. I learned about 10KSB when I was looking for someone/something to help Bob and I evaluate our business and assist us with planning for its future. My experience was without a doubt, the best thing I’ve ever done for myself and our business. Although I will admit that I was completely skeptical and particularly cautious, it turned out to be a great decision. The program consists of a combination of online and in-person sessions, along with training in such things as financial statements, hiring practices, marketing, negotiations, etc., I ended up gaining so much more. The networking opportunities and the shared experience with like-minded business owners were invaluable. The opportunity to work side by side with business owners who experience the same challenges with business operation and growth was incredible. I have established what I hope to be life-long relationships with contacts who truly want to help me grow my business. We have used the guidance from the program to develop a new marketing plan for Sandry Fire which gives us the reach we needed to establish new connections and ultimately grow. We have enhanced numerous in-house processes and software programs that allow for continued growth and improved customer support. Best of all, 10KSB has given me the confidence and courage to take the steps to grow and develop ourselves into the company that supports our core values. Since completing the program in November 2017, our business has experienced an almost 50% growth. Although we cannot attribute all of that to this program, I do believe that it has made a difference in the future of Sandry Fire Supply. We have the knowledge and resources to continue to grow. Participation in this program will be a significant commitment of your time. 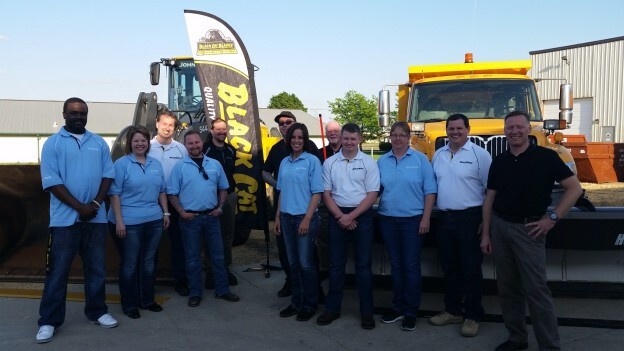 Time to learn and grow – while continuing to operate your business. But the opportunity to make your business better is truly one you shouldn’t pass up. Please consider applying for this opportunity. 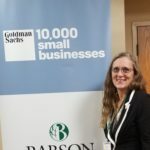 If you have any questions or would like to hear more about 10KSB, feel free to contact me (mary@sandryfire.com) or check out the 10KSB Iowa website (www.10KSBapply.com/iowa) to learn more about their mission and what other businesses have gained through this opportunity. Good Luck – and “Let’s Make Small Big” in Iowa! 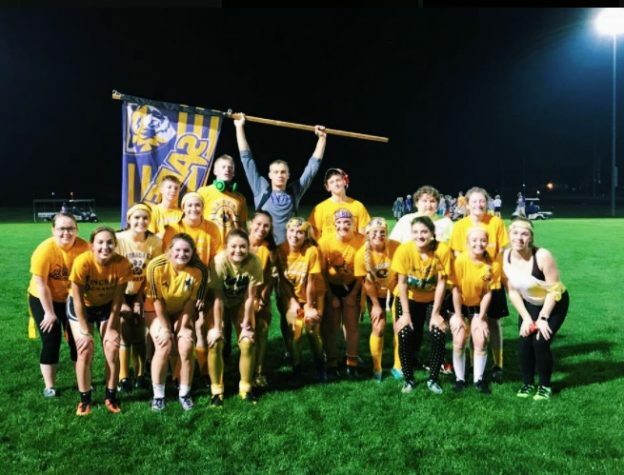 This entry was posted in Community Insights, DeWitt Delivers and tagged Business, Business Development, City of DeWitt, Community, DCDC, DeWitt, DeWitt Chamber & Development Company, DeWitt Delivers, DeWitt's Downtown District, Iowa on September 27, 2018 by admin. Each year, thousands of volunteers in Iowa donate their time and energy to make their communities a better place to live. Thirty-three percent (33%) of Iowans volunteer, ranking Iowa tenth among the 50 states (Source Corporation for National Community Service). These volunteers will be among the millions across the country who will be spotlighted during National Volunteer Week, April 23-29, 2017. 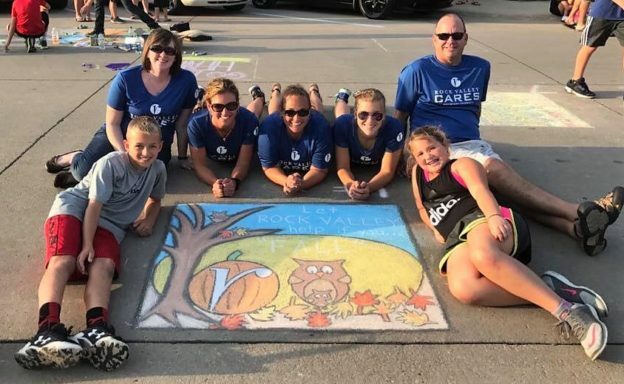 Clinton County and DeWitt volunteers pay it forward by dedicating their time and talents to the next generation – an investment that cycles back into our community while building relationships that nourish future generations. Look around and you’ll see the impact our volunteers make – through the smiles and successes of our youth. They are rewarded by sharing their experiences, learning new things, and building partnerships, not to mention the fun and fulfillment that volunteering brings to their life. One group that relies heavily on volunteer support is the 4-H Youth Development Program. Last year in Clinton County, 112 volunteers serve in many roles including 4-H and Clover Kids club leaders, project leaders, and committee members for the 4-H Youth Development Program. 4-H volunteers serve as caring adults who help young people develop communication, citizenship, and leadership skills through 4-H projects and community service opportunities. Volunteers create safe environments for youth to learn, thrive, and grow. I am truly impressed by the work of the 4-H Club Leaders, many who have been volunteering for over ten years, some over 40 years! They meet individually with youth to help them with projects, in addition to providing guidance at monthly club meetings. It is a requirement that 4-H volunteers who work directly with youth attend annual trainings, to network and learn new skills in positive youth development and risk management. The 4-H program has helped many youth in Clinton County to achieve goals outside of the classroom, while working with a caring adult. Volunteers in the 4-H program help youth to become engaged in their community, make new friends, and accomplish their goals, which ultimately can deter at-risk youth from making a bad decision. With an ever-changing world, the 4-H Youth Development program is adapting and offering more opportunities for youth and volunteers in areas such as Science, Technology, Engineering, and Math; Communications and the Arts; Citizenship and Leadership; and Healthy Living. The expanding programming reflects new opportunities for youth and volunteers alike. The Clinton County Club Show at the fair is a showcase of what projects youth have completed throughout the year and you will see many animals being showcased during the fair. Animals are just one of over 150 project areas that youth may participate in. In every 4-H project you see exhibited at the fair, there is most often an adult volunteer that has mentored the youth along the way with the project — paying it forward to the next generation! Celebrate National Volunteer Week with us and I encourage you to explore more about Clinton County 4-H Program and volunteer opportunities! This entry was posted in Community Insights, DeWitt Delivers, Get Involved! 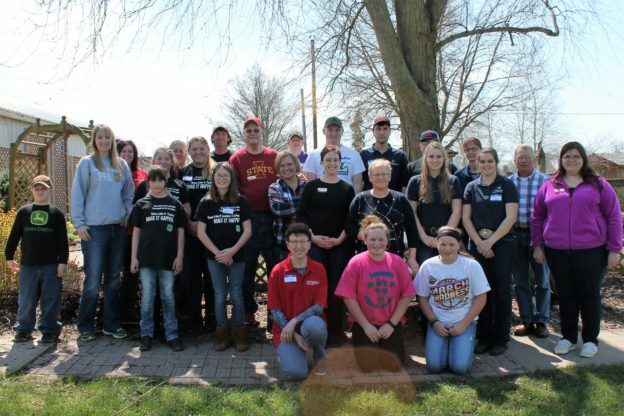 and tagged 4-H, 4-H Youth Development, Agriculture, Community, DCDC, IA, Iowa, Iowa State University Extension and Outreach –Clinton County, National Volunteer Week, volunteering on April 24, 2017 by admin. With So Many Choices, Why Look Local First? No one business can be all things to all people. And the number of options available to shoppers is greater than ever. Online vendors, big box stores and franchise businesses offer many advantages. Small Businesses have distinct attributes and advantages as well, and hopefully, give you reasons to Look Local First. 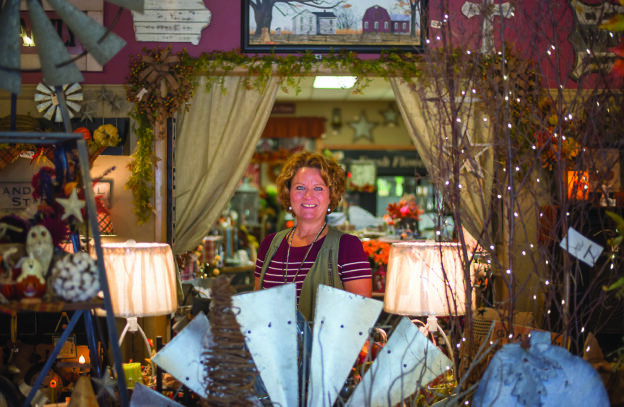 Small Businesses represent community, an interdependence among its residents, neighbors and city leaders. They offer personalized service and unique finds, but more importantly – a slower pace, and an experience to be enjoyed with family and friends. They know, enjoy and appreciate their customers, and they cannot exist without local support. THE CROSSROADS Inspired Living & Garden Cafe opened its doors on June 20, 2011 after a nine month renovation of the former Martha’s Café. The name recognizes in part, the historical crossroads of two transnational highways 30 & 61 at DeWitt’s downtown intersection of 6th Avenue & 10th Street. DeWitt’s many quality of life amenities along with its nice downtown and music along 6th Avenue, its proximity to the Quad City area and surrounding communities, made it seem like a good location to open a new business. This was truly a family endeavor and partnership. As such, it was not only an investment in DeWitt, but a time of making memories and rejuvenation following a period of ill health. Indeed, it was the beginning of a new and adventuresome journey that still continues to this day. Having celebrated our 5th Anniversary this past June, we can say that “It is good to be here.” For truly, the best part of this journey so far has been sharing ‘Inspiration’ and ‘Experiences’ with so many people along the way. That’s what Small Businesses are about: Personal Connections and integrating what we do into everyday life. Just one of many reasons to Look Local First. Do enjoy all that DeWitt has to offer. Experience Your Hometown…. And Meet Us at THE CROSSROADS. Be Inspired! This entry was posted in Community Insights, DeWitt Delivers, Look Local First, Shopping & Dining, Tourism, Uncategorized and tagged City of DeWitt, Community, crossroads, DCDC, DeWitt, DeWitt Chamber & Development Company, DeWitt Delivers, DeWitt's Downtown District, Look Local First, Restaurant, shop local, shopping in DeWitt, THE CROSSROADS Inspired Living & Garden Cafe on December 16, 2016 by admin. There are so many ways to give back in the DeWitt community, especially during the holidays! What will inspire you to give or volunteer this season? Toys For Tots – Three years ago I was asked to help with the Clinton County Toys For Tots Campaign. The Marines needed our help! So, I asked my brothers at the DeWitt Fire Department if they would be willing to assist with this great program for our local kids. Since that time, we have given out almost 1000 toys and served over 90 families in Dewitt alone. This year will be no different, over 45 children will receive 6-7 toys from our 2016 drive. We can’t do this without your help. Help support this program and drop an unwrapped, unopened toy for a child ages 6 months to 12 years at any of the drop off location listed below. The drive will go until December 14th. Box Locations: IH Mississippi Valley Credit Union & 1ST Gateway Credit Union, First Central State Bank, Dewitt United Methodist Church, Grace Lutheran Church, Dewitt Fire Department, Scott Drug, St. Joseph School, MJ’s East, Ekstrand Elementary, Central DeWitt Intermediate School, DeWitt City Hall, Theisen’s, and Frances Banta Waggoner Library . The Giving Tree Program – This program is initiated by DeWitt’s Referral Center to help local children receive a gift for Christmas. The Referral Center prepares ornaments and DeWitt Junior Women picks the ornament tags up and delivers them to be displayed on trees at DeWitt Bank & Trust and First Central State Bank. There are several tags that have ages of the children, gender, and needed/wanted items on the tags. You don’t have to purchase each item listed and you can spend as much or as little as you wish. This program is an excellent way to give back to the local community. I feel this is also a educational opportunity, by involving your children in the giving, it is a great reminder to all what the true meaning of Christmas really is. Last week, I took my two children to Theisen’s to purchase the Giving Tree gifts and they had a great time picking out gifts for another child. Next time you are in DeWitt Bank & Trust or First Central State Bank, take a look at the Giving Tree and get inspired to grab a tag for a local child in need! DeWitt Referral Center – The Referral Center assists those in need in the Central DeWitt School District. The needs are many and varied including food, housing assistance, clothing, gas for traveling to a job, Christmas toys and more. The Referral Center is a non-profit organization that is governed by a Board of Directors. At this time the 2016 Referral Center Holiday Food Box & Gift Drive is underway. Last year 173 children receive gifts, and 145 Families received Holiday Food Boxes. Volunteers are still needed to assist with the drive setup at the DeWitt Community Center on Dec. 12th & 13th between 8am – 5pm and on Dec. 14th from 8am – Noon to distribute items. Please call the Referral Center at 563-659-9612 if you would like to volunteer and help ensure that this year’s drive will be the best yet! The Referral Center also operates a resale shop year round that is open to the public, where individuals may donate or purchase items. Donations of clothing, furnishings, food and cash donations are always appreciated. All donations are tax deductible. From Cover to Cover – We are a non-profit agency co-founded by two graduates of Central DeWitt, Christina Kitchen and Gina Ryan Schlicksup. We began our mission 3 years ago by starting a “Snuggle Up and Read” campaign, to advocate literacy through the donation of homemade fleece tie blankets with a brand new book to at-risk children in the community. To date, there has been over 1,000 blanket sets and 5,000 books donated. The From Cover to Cover Clinton County chapter was launched in October 2016 and is in the infancy stage. Our first project is one hefty undertaking, but as the chapter chair I know it can be done when living in a community as supportive as DeWitt! 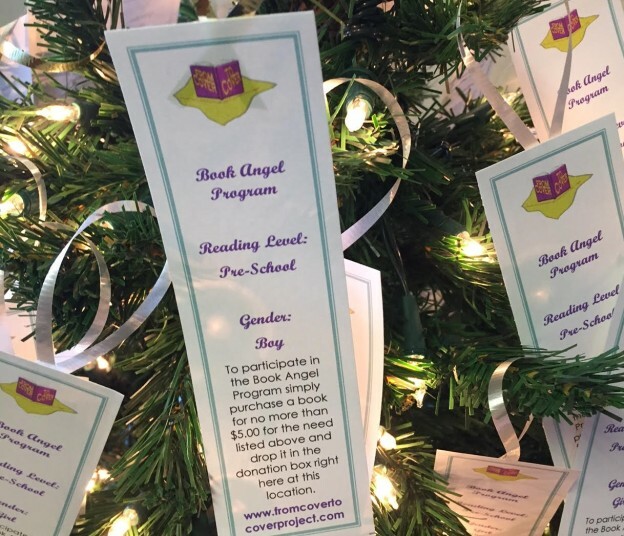 The project, “Book Angel Program” is in full-swing. You will see Christmas trees lined with bookmarks at Thiel Motors, Flowers on the Side, First Central State Bank, Snap Fitness and St. Joseph Church. To participate in the program simply visit one of the locations mentioned and choose a bookmark from the tree. The bookmark indicates the reading level and gender of a book you can purchase to be given to local children (ages range from pre-K to 8th Grade). Books, with the bookmark inside, are brought back to the location the bookmark was picked up at and dropped in the donation bins marked “From Cover to Cover”. The goal of the program is to provide every child at Ekstrand Elementary and St. Joe’s Catholic School (that is over 700 students), a brand new book at Christmas time. Monetary donations are also greatly appreciated and donations can be made at First Central State Bank to: From Cover to Cover Clinton County. Our mission may be to promote literacy, but we have quickly learned that the journey is about so much more. It is about showing kindness and compassion. It is about providing a comforting gift and encouraging the next generation to be the best they can be. There is much work to be done here but with the help of our wonderful community, we can continue to make a difference one book and blanket at a time! Shop with a Cop – The DeWitt Police Department is committed to the philosophy of community policing. Our goal is to implement programs that prevent crime and increase the public’s trust in the quality and professionalism of our service, while building lasting relationships in our community. Through a partnership with a group of caring citizens, the DeWitt Police Foundation, a non-profit organization was established to promote crime prevention, public safety, and education to the community. 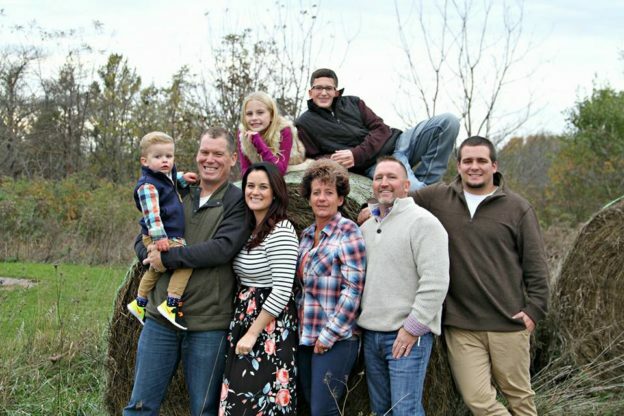 This foundation works to promote the quality of life in DeWitt by providing a charitable organization that can fund public safety initiatives that tax dollars may not always be able to fund. One example of how the DeWitt Police Department works to accomplish this goal is the “Shop with a Cop” program. Created five years ago, the program’s initial intent was to address the image officers sometime leave children with after they are forced to take action during certain situations. For example, an arrest of a parent/guardian in a domestic violence case. Due to this, the purpose became not only to repair the image of the officer, but to be proactive and build a stronger rapport with the youth in our community before negative situations occurred. The DeWitt Police Department believes that in order to break the cycle that leads youths to criminal behavior; it requires an active effort from all by being positive role models for our youth. The “Shop with a Cop” program has helped accomplish this by building trust and friendship while teaching respect and instilling values. During the event, participating children are paired with a police officer who will give the children a ride in a police car ride to Theisen’s where they will purchase gifts for themselves and their family. After shopping the children are transported by police car to the community center where they are met by Citizen Police Academy (CPA) alumni. The CPA alumni help the child/officer wrap gifts and many times there is a visit from Santa who bring stockings full of goodies for them. The children have pizza and watch a Christmas movie to finish the day. The smiling faces and positive energy the children display when their parent/guardian picks them up greatly benefits all of the participants and volunteers. This type of program would not be possible without the kindness and willingness of volunteers and the business community that devote time, energy and economic resources to make this event a successful. For more information about how to become involved in the DeWitt Police Foundation or the Citizen Police Academy please contact the DeWitt Police Department at (563)-659-3145. This entry was posted in Community Insights, Get Involved!, Look Local First and tagged Business, City of DeWitt, Community, DCDC, DeWitt Chamber & Development Company, DeWitt Referral Center, From Cover to Cover, Shop with a Cop, The Giving Tree Program, Toys For Tots, volunteering on December 8, 2016 by admin.